Say, “How many of you have heard about the election for president?" This will give you a sense of what they know. Then ask, “What do you think the president does?" Allow time for answers and then share the list of things that the president of our country does. “Today we are going to listen to the story of Max who is a first grader. He wants to be the president of his class! Listen to find out about some things that a president does." Read and discuss Max for President by Jarrett J. Krosoczka. Max and Kelly make promises about what each would do if elected class president. “Now that you know what a president does, we are going to elect a class president! If you really think you would like to be class president, put your name on a slip of paper and place it in the basket. You will be asked to stand in front of the class and convince the students to vote for you. You will have some friends who will help you with ideas." When all the papers are in the basket, choose three of them. These will be your candidates. Next, divide the class into three groups, one for each candidate. Allow about fifteen minutes for the groups to come up with ideas of how to make the classroom and school better. 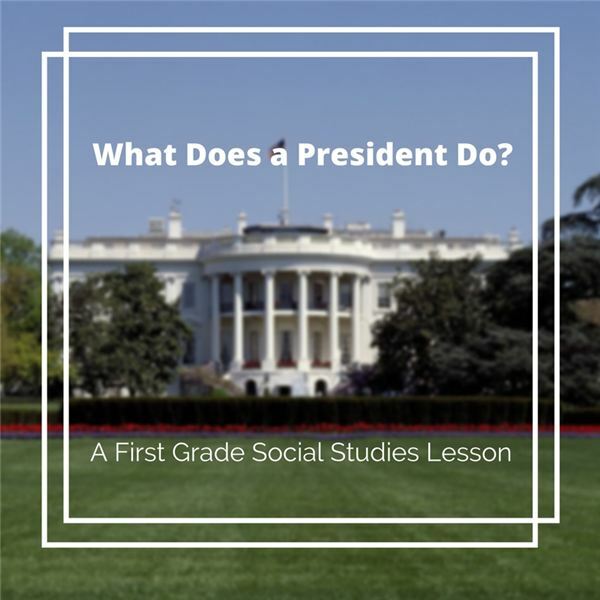 Each of the three candidates will stand up and tell the class why they should be president. “Now it is time to vote! Do not vote for someone who is your best friend or who wears nice clothes or is good at sports. Vote for the person who will be the best president. Your votes are secret. You do not tell anyone how you voted." Count the votes and declare a winner. Next, have the new president guide the class in creating classroom rules to build a better learning environment, which you will write on the board. If students have ideas for the whole school ask the president to choose volunteers to help achieve the goal. Meet with the principal to discuss ideas. Krosoczka, Jarrett. Max for President. Alfred A. Knopf, 2004.